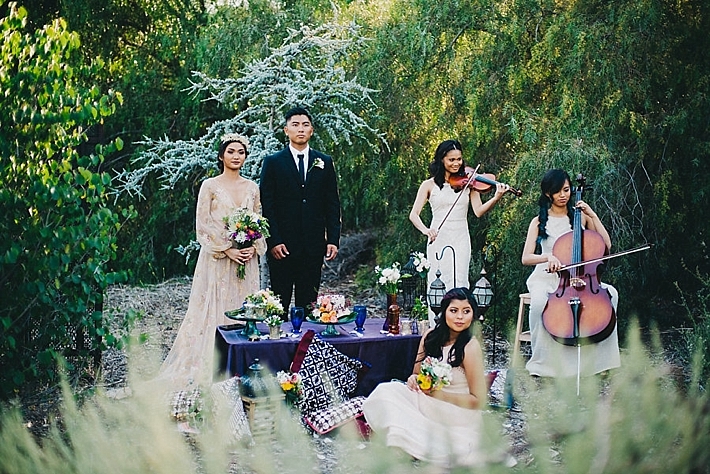 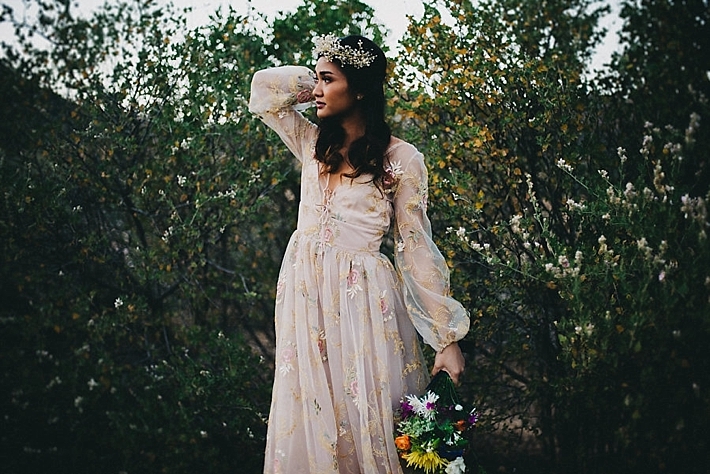 This styled shoot was conceptualized with the breathtaking, Los Angeles mountains in mind. 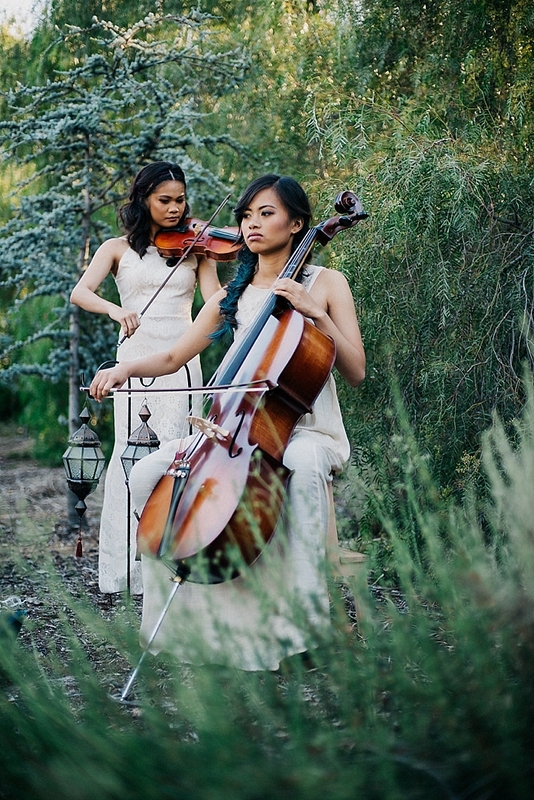 We feel lucky to be living in a place where it only takes an hour or so drive to get to different sceneries - whether it be the ocean, the mountains, or the desert. 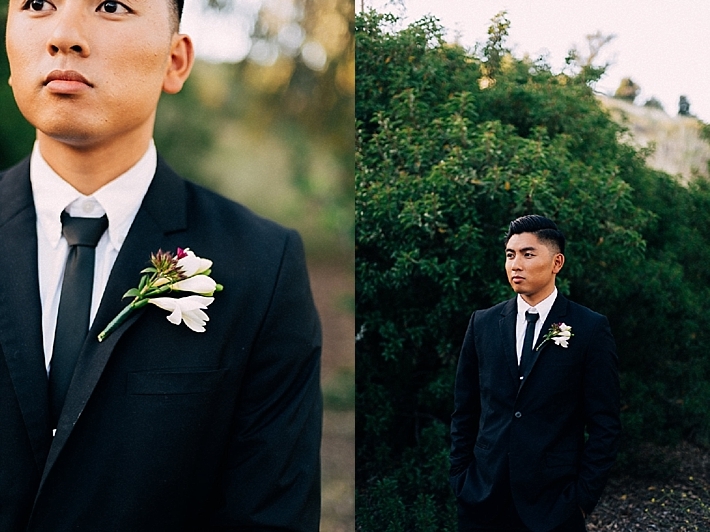 We wanted to highlight this in our shoot - the endless possibilities of wedding venues in the LA area. 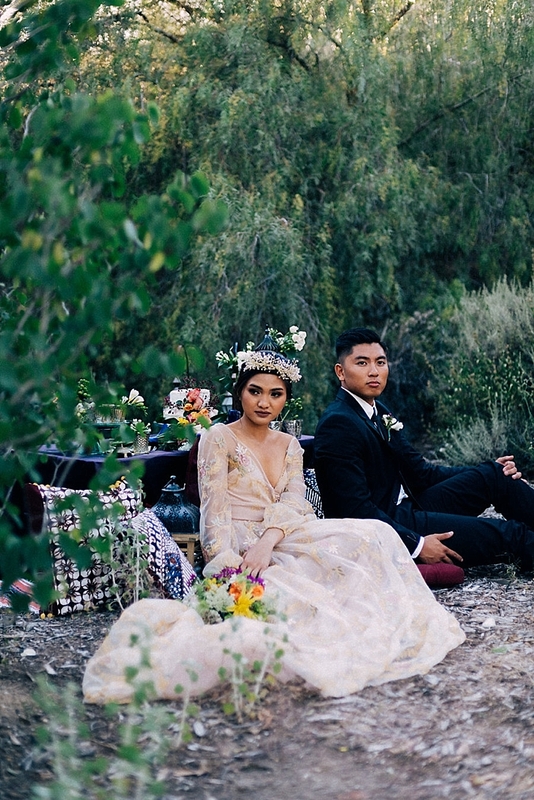 When we were planning for this shoot, we imagined a laid-back couple who loved the outdoors and wanted an intimate wedding where they would feel one with nature. 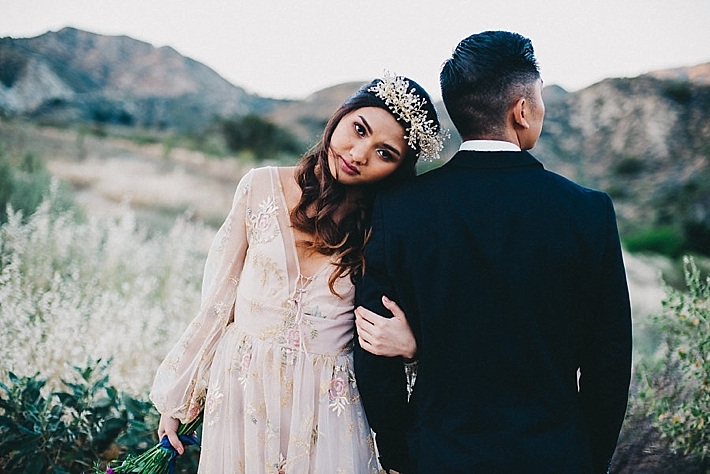 Despite the vast expanse of space up in the mountains, there is an unexpected feeling of stillness and intimacy; as if there's no one else but you and your loved one. 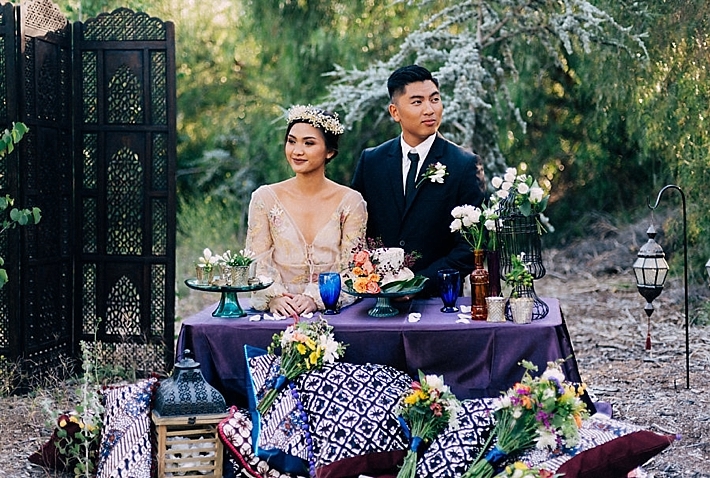 We decided to go with a Moroccan-inspired theme, since the monochromatic hills and a clear sky was the perfect backdrop for dramatic and vibrant details. 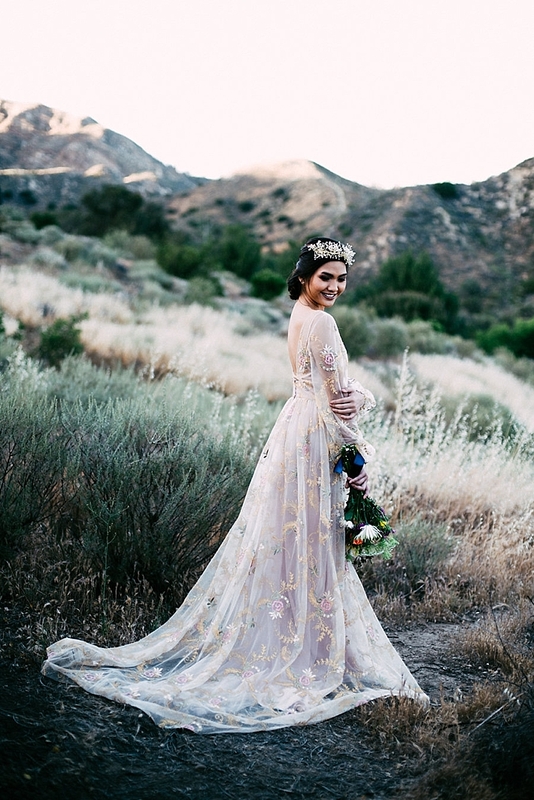 The bride is wearing an elegant yet very dreamy embroidered wedding dress (the Ireland by Tara Lauren), which is complemented by a luxurious crystal-laden hair piece and a cathedral-length veil (both by Alice and Mae Bridal). 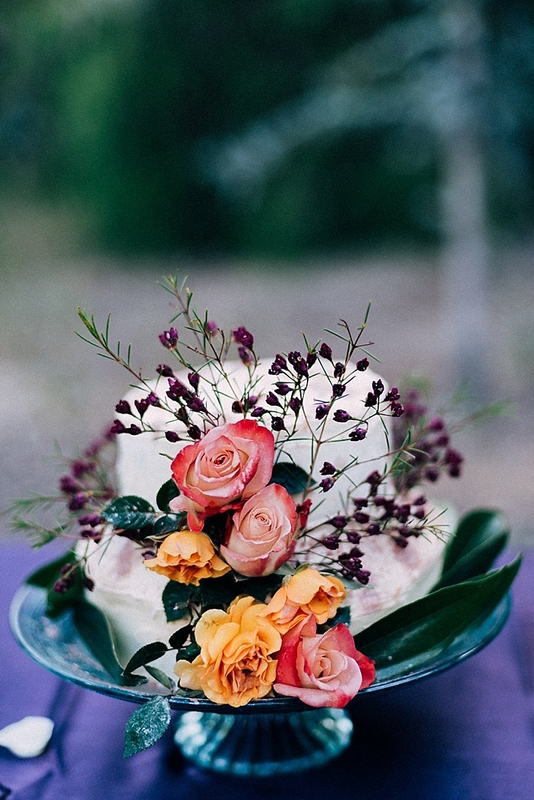 There are bits and pieces of vibrant colors that accent the whole neutral look - from the wildflowers, the cake and the stationery, to the pillows, the table details and even the bridesmaids' hair - a perfect mix of boho and luxe. 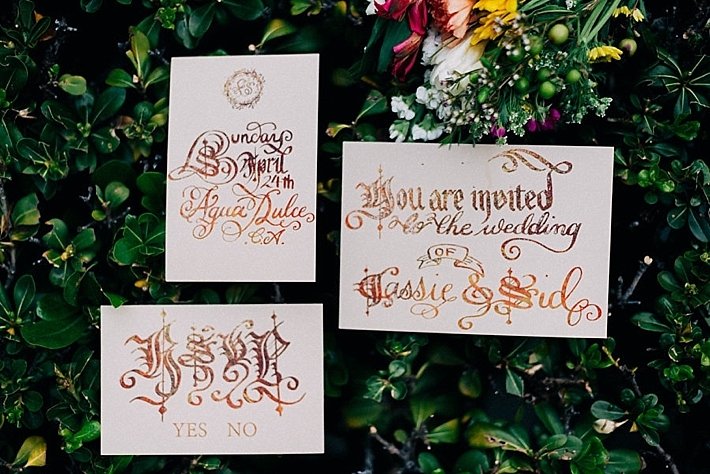 We were able to collaborate with different creatives, not only those based in LA but also in other parts of the US and even a calligrapher from the UK. 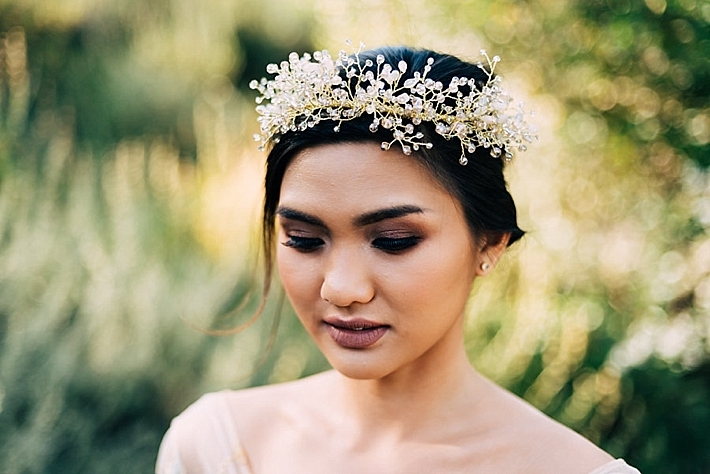 With this shoot, we felt we embodied the modern, global bride who knows what she wants and is not tied down by the choices available in her area.